Iceland Country Life – The Great Canadian Travel Co.
**Sale Extended, book by 03 June, 2019 and save 15%! ** Bestseller! 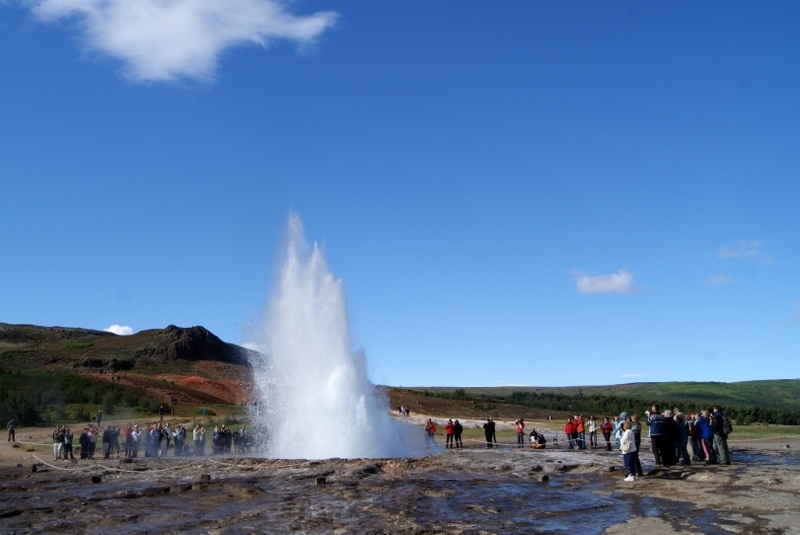 An Iceland circle tour with soft activities, visits to cultural and historical sites which shows the ever-changing scenery of the Icelandic countryside: mountains and valleys, volcanoes, glaciers, rivers, hot springs and waterfalls. VIP package: Supplement for guaranteed window seat and next seat remaining empty, pillow and blanket – US$455 per person. Prices are shown in US$ per person based on three people sharing a triple room, two people sharing a twin room, one person in a single. Above prices are subject to change based on currency fluctuations until paid in full. This is an ideal tour for those who want to experience the whole variety of Icelandic landscape, culture and history in one week. You visit two of Iceland’s national parks and have plenty of opportunity to walk in the beautiful countryside most days. Accommodation is in simple and clean hotels, all rooms with private facilities. This tour averages 1-2 hours of easy walking each day, comprised of several short walks of 10-30 minutes to see and explore the different nature and history sites. It is a tour that nearly everyone can take part. It is not a hiking tour. Total mileage without airport transfers is about 2,090km (1,298 miles), an average of about 299km (186 miles) per day. You will spend about 4 hours per day on the bus, depending on road and traffic conditions. On some days the driving time might be longer than on other days, depending on the distance covered that day. 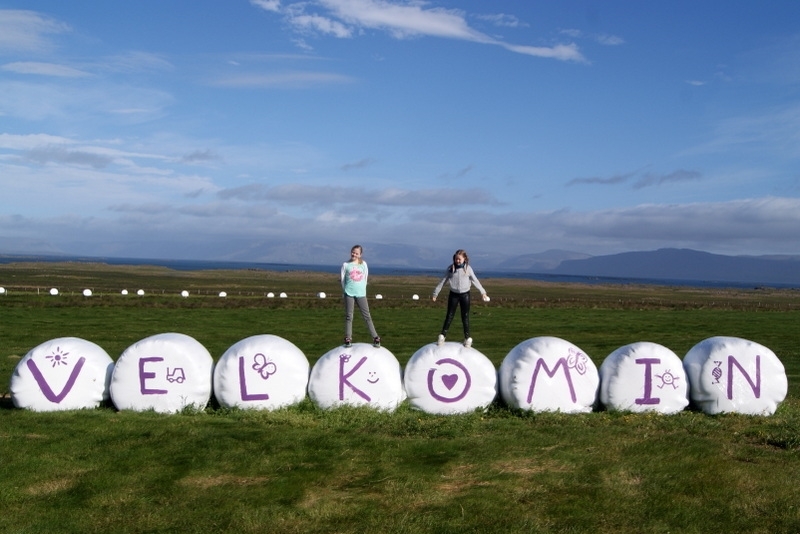 After a short Reykjavík city tour, we head north from Iceland’s capital to West Iceland. The settlement centre in Borgarnes introduces us to the Icelandic sagas where we learn about their impact on Iceland through the ages. The afternoon is filled with fascinating natural spots. 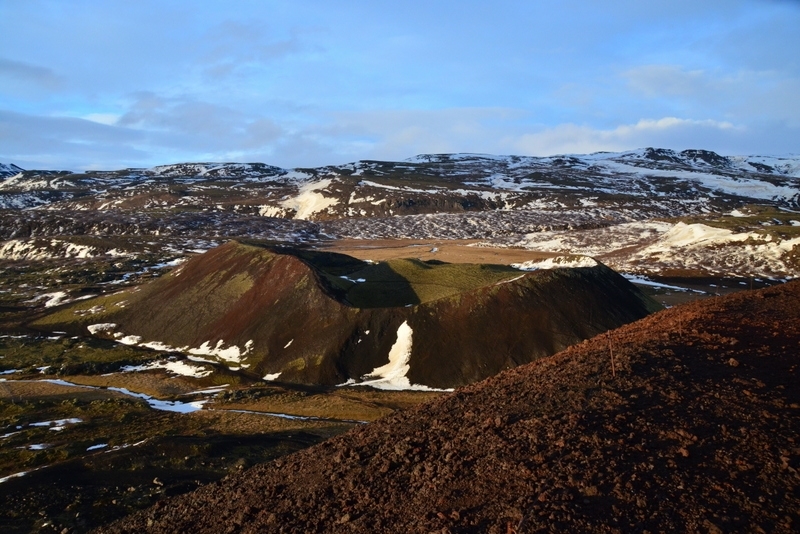 A 40-minute round-trip hike takes us to the rim of Grábrók volcano crater, formed about 3400 years ago. For anyone interested in geology, this is a “must-see”. The crater is in the middle of a vast lava field and from the top, you have superb views of the beautiful landscape. Deildartunguhver is one of the most voluminous hot springs in Europe. The water that flows here is boiling and sizzling. Soon after, we explore Hraunfossar, the unique waterfall that drains from under vast lava fields into a glacial river. A 10-minute walk takes us to Barnafoss, “children’s fall”, with its strange rock formations carved by the river Hvítá. Enjoy Icelandic history at the cultural site in Reykholt, which was the home of the 13th-century writer, scholar, and chieftain Snorri Sturluson, who wrote many sagas. We see Snorri’s pool, one of Iceland’s most important cultural and archeological sites. Overnight is in West Iceland. A long drive takes us over mountain passes, through lava fields, green pastures, fertile farmlands and along fjord landscapes to North Iceland. We pass Skagafjörður, known as the “valley of horses”. After a lunch break, we go whale watching and sea angling for 2-3 hours at Eyjafjörður, Iceland’s longest fjord, right below the Arctic Circle. The most common species are humpback and minke whales, harbour porpoises and dolphins. The success rate to spot whales is about 98 %. The tour also includes about 30 minutes of sea angling. Expect to catch cod, haddock, pollock, catfish and if you are lucky, even a giant halibut! Next stop is Akureyri, Iceland’s second-largest city before we reach the picturesque town of Húsavík in Northeast Iceland where we stay for the next two nights. The day begins with Goðafoss, “the waterfall of the Gods”, one of the country’s most spectacular waterfalls and a prominent spot in Iceland’s history. We tour the Lake Mývatn area, considered as one of the most fertile regions in the world so close to the Arctic Circle and also known for its abundant bird life and amazing volcanic lava landscapes. The lake’s unique features are shaped by nature – strange lava formations, any kind of volcanic craters, attractive bays filled with thousands of birds and ducks. We stroll through the mysterious lava field of Dimmuborgir, look at pseudo craters and see the tephra cone Hverfjall. Our last stop is the Mývatn Nature Baths, where we soak in 36-40 degrees warm geothermal water, which contains a lot of minerals, is alkaline and well-suited for a relaxing and rejuvenating bath. We start the day by exploring the geothermal area of Námaskarð with hot springs, fumaroles and bubbling mud pools. At Kraftla we see the impacts of volcanic activity and you can smell the sulfur. Víti is a circular explosion crater filled with blue water which has boiled for 100 years until the early 19th century and is surrounded by volcanic landscape and colourful mountains. The name Víti signifies “Hell”, and the area is quite surreal. The water, colourful mountains, and the steam hissing out of vents create an eerie atmosphere. We continue our journey to the 44-meter high Dettifoss, Europe’s most powerful waterfall in the northern part of Vatnajökull National Park. The round-trip walk takes about 40-60 minutes. From there we head through the uninhabited highlands to East Iceland. 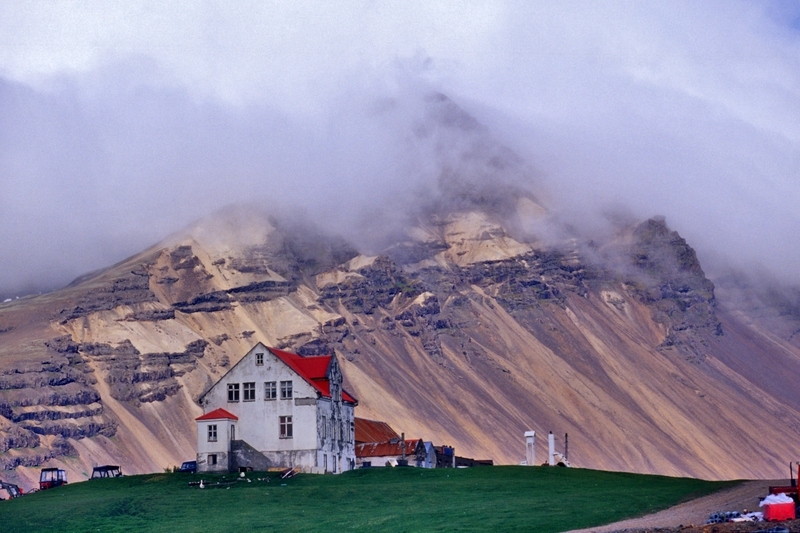 Along the way, we stop at Möðrudalur, the all-year residence at the highest altitude in Iceland, 469m above sea level. In the summertime, they run a service centre there which is a perfect place to enjoy the view of Herðubreið, the queen of the Icelandic mountains. We visit the church at the farm, built by hand in 1949 by the former farmer in the memory of his late wife. We continue through a fascinating barren landscape and through a long valley called Jökuldalur. In the evening we reach the fertile region of Fljótsdalshérað with its narrow glacial lake, Lögurinn. Keep your eyes open for the giant “Lake-Worm”! 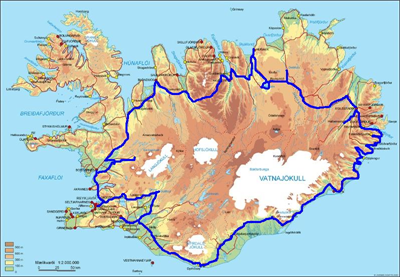 The Icelandic ring road takes us toward the southeast. It’s a day to admire green valleys, high mountains, dramatic fjord landscape and its tiny fishing villages at the end of twisty roads in the East Fjords. 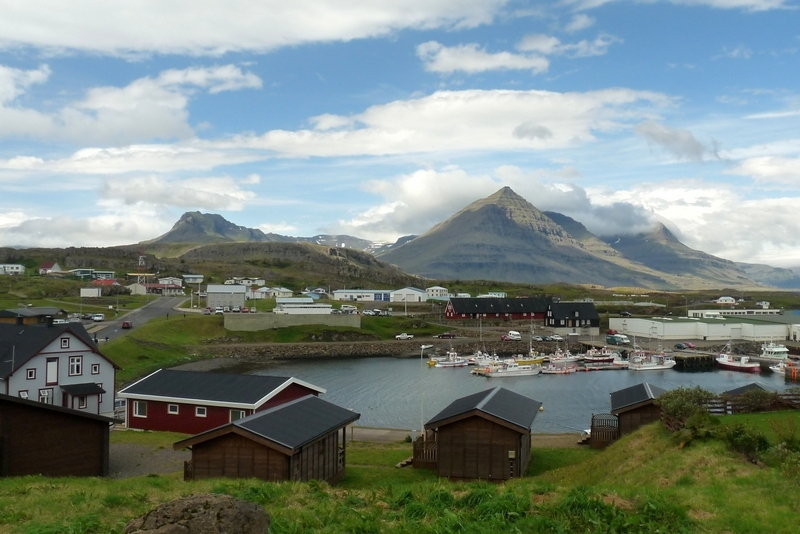 We stop at the charming village of Djúpivogur. Soon we see Vatnajökull – Europe’s biggest glacier that is visible all over Southeast Iceland. 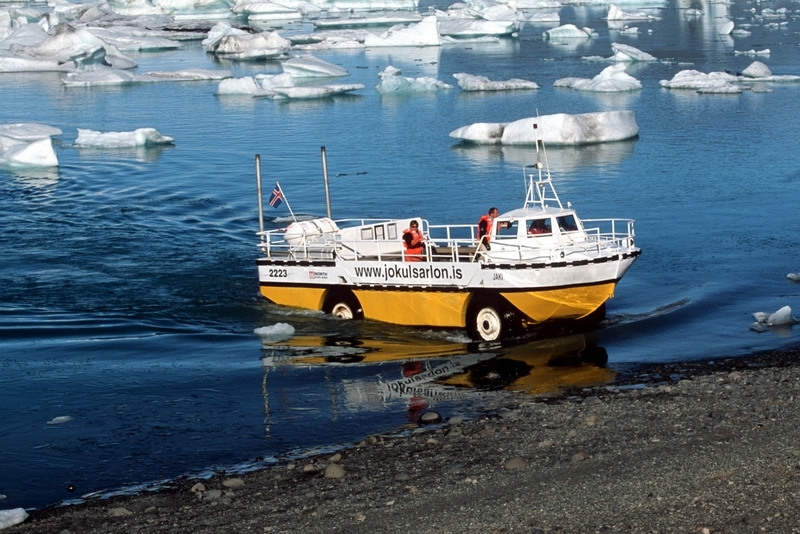 Past the town of Höfn, we stop for a boat ride among the floating icebergs on the Jökulsárlón glacial lagoon, considered one of the highlights on tour around Iceland. Huge pieces of ice calve from the glacier and end up floating in the lake and out to sea. Many of you might recognize the glacier and ice lagoon from films such as Lara Croft: Tomb Raider and James Bond: Die Another Day! 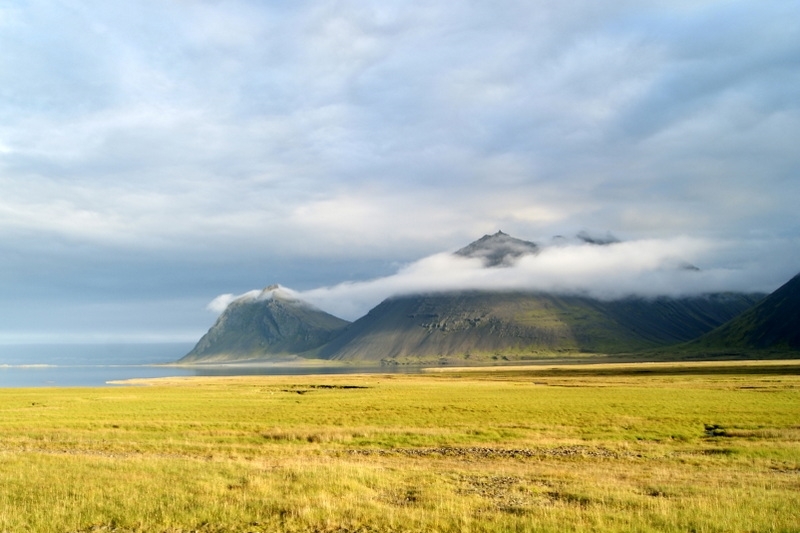 The night is spent near Skaftafell on the southern part of Vatnajökull National Park. We explore Vatnajökull National Park which covers about 14 % of Iceland, making it Europe’s second-largest national park in terms of area after Yugyd Va in Russia. The park offers amazing contrasts in landscape with glaciers, moors, mountains, birch forests, glacial rivers, brooks and sandy outwash plains. 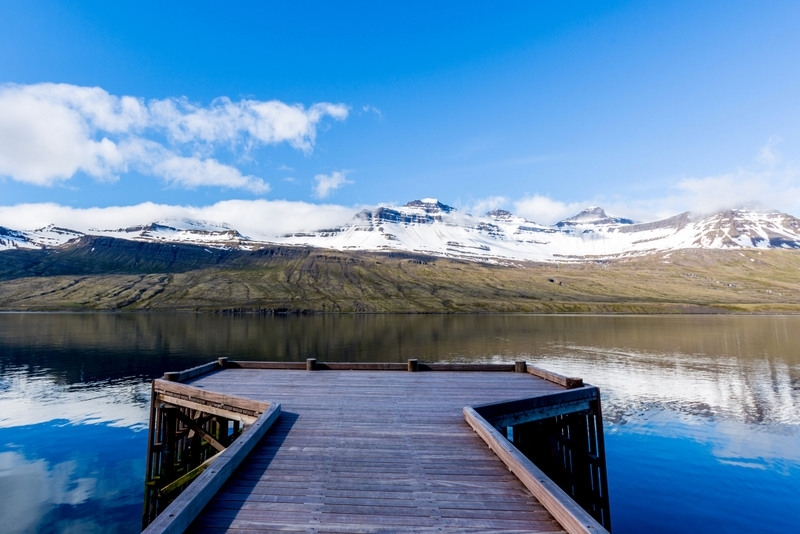 We explore the region of Skaftafell that is nestled below Iceland’s highest peak and the second-biggest stratovolcano in Europe, the 2,110-meter high Hvannadalshnjúkur. We walk close to one of the many glacial tongues in the area – a Kodak moment. We cross a sandy desert and drive along the south coast, always between the sea, rugged mountains, glaciers, and waterfalls. We see Eldhraun, “fire lava”, an enormous and incredibly beautiful lava field which was created by the year-long Laki eruption in 1783. This eruption was devastating for Iceland. The years that followed are referred to the “misty times”, due to the volcanic ash lingering for a long time in the air. The world-famous Reynisfjara shore, near the village Vík, is widely regarded as the most impressive black sand and pebble beach in Iceland and features an amazing cliff of regular basalt columns resembling a rocky step pyramid. The area has an abundant birdlife, including puffins, fulmars, and guillemots. 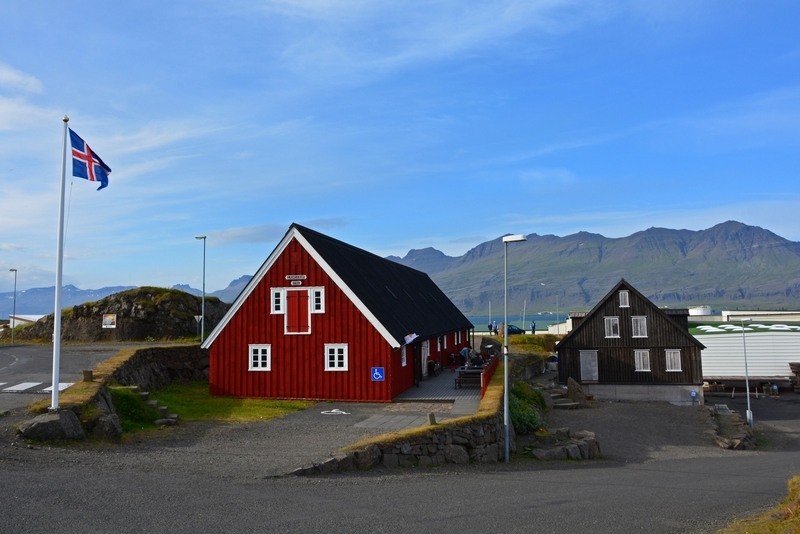 Iceland’s past comes alive at the Skógar folk museum with its turf houses. 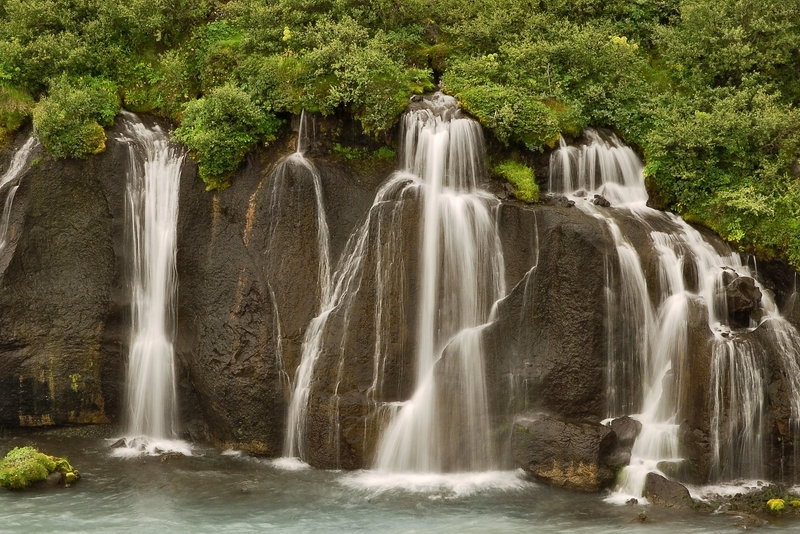 Next stop is the 62-meter high Skógafoss waterfall, often harboring a rainbow. We travel along the famous Eyjafjallajökull glacier and volcano and visit the narrow and 65-meter high Seljalandsfoss waterfall with a trail that leads behind the fall. You must be prepared to get wet! We continue our journey through the biggest agricultural area of Iceland to our overnight location in South Iceland. We see classics today, and we start with horses. At Friðheimar farm we meet an individual four-footed player in Iceland’s history. During an educational and entertaining horse show, we are introduced with a professional but also personal display to the gaits and unique qualities of the Icelandic horse. 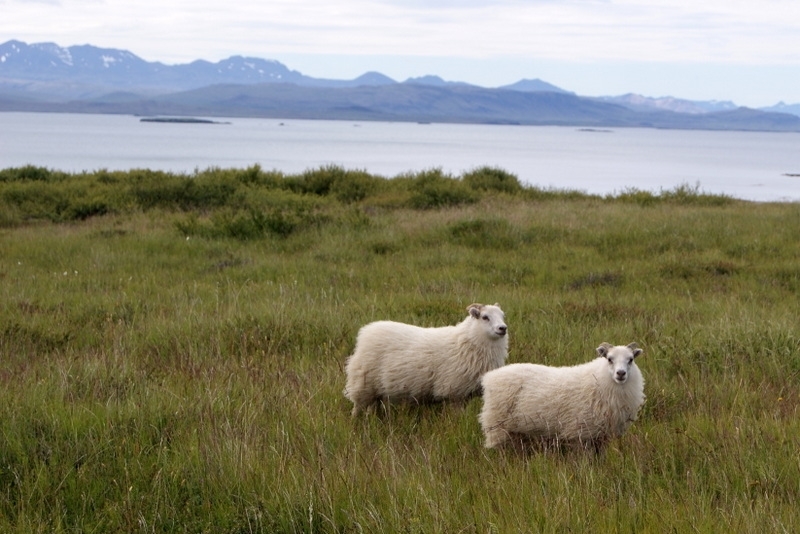 This peculiar breed has adapted to Iceland’s landscape in a way that made it a full partner in farm and city life. The Golden Circle sights follow. Gullfoss, the beautiful double “Golden Falls”, tumbles 34 meters into the Hvítá river and attracts tourists and travelers all year. Next stop is the active geothermal area of Geysir, where we can see Strokkur, “the churn”, spout up to 25 meters (70 feet) every five to ten minutes. We continue to the ancient Viking Parliament area of Þingvellir National Park, a UNESCO world heritage site, and an area of exceptional geological and historical interest. See with your own eyes the rift dividing the continental plates of America and Eurasia. Overnight in Reykjavík, Iceland’s capital. Individual transfer by Flybus airport shuttle to Keflavík Airport. There is also the option to extend your time in Reykjavik. Optional Tours: may be available to be booked and paid locally, at the discretion of the tour operator.